CHP's Istanbul MP Ozgur Karabat. 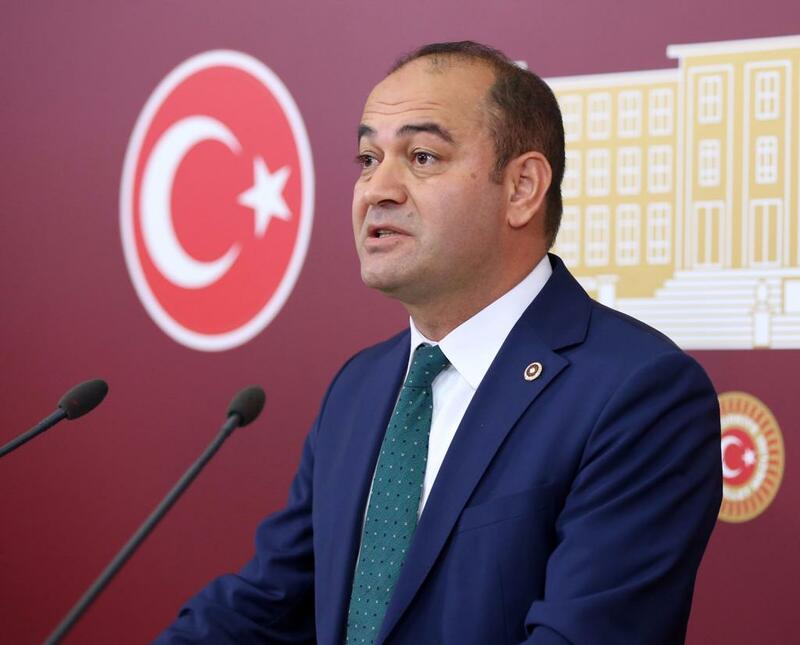 A war of words has erupted between the Republican People’s Party (CHP) MP Ozgur Karabat and the ruling AKP over location shifting accusations. Following its loss of the Istanbul Metropolitan Municipality according to the unofficial results of the local election, the AKP appealed to the election authority for a recount of invalid votes. Later on, its demand for a full vote recount was rejected by the Supreme Electoral Council (YSK). The AKP later announced that it will take the course of an extraordinary appeal, claiming that in Istanbul’s Buyukcekmece district there was a mass location shifting before the elections. Claiming that the polls were fundamentally rigged, the ruling party intends to demand a re-run of Istanbul mayoral elections, according to its deputy chairman Ali Ihsan Yavuz. Buyukcekmece district saw police sweeping in the neighborhoods in the last couple of days, knocking doors and checking the registered addresses of the voters, as well as allegedly asking whom they voted for. “We have run in the elections in this city under the guarantee of electoral boards of our state. There are election minutes. There is no need for further efforts. No need to tire our police and our security forces. No need to disturb our people by sending police door-to-door,” said the opposition’s Istanbul Mayor-elect Ekrem Imamoglu. The AKP’s acting mayor Uysal subsequently claimed that there was organized gerrymandering in the Buyukcekmece district, controversially alleging that people whom can be identified as AKP voters by “looking at their surnames” were removed from the voter lists. MP Karabat, in a series of posts from his Twitter account, alleged that people from the inner circle of the acting Istanbul mayor Mevlut Uysal, who were registered elsewhere before the election period, were registered to the same address in Buyukcekmece just before the polls. Karabat claimed that the senior municipality officials Nurettin Ertemel, Huseyin Sevim, and Kaan Sahin were registered to the same apartment where 11 voters are registered as residents. Eleven days after the polls the ballot recount process initiated by AKP’s appeals in Istanbul is 97 percent over, with Imamoglu having a lead of 13,992 votes against AKP’s Binali Yildirim, according to the election authority’s figures.